Book produced to site alongside the exhibition at Poole Museum. With chapters on Our Working Lives in the 1940s and 1950s. 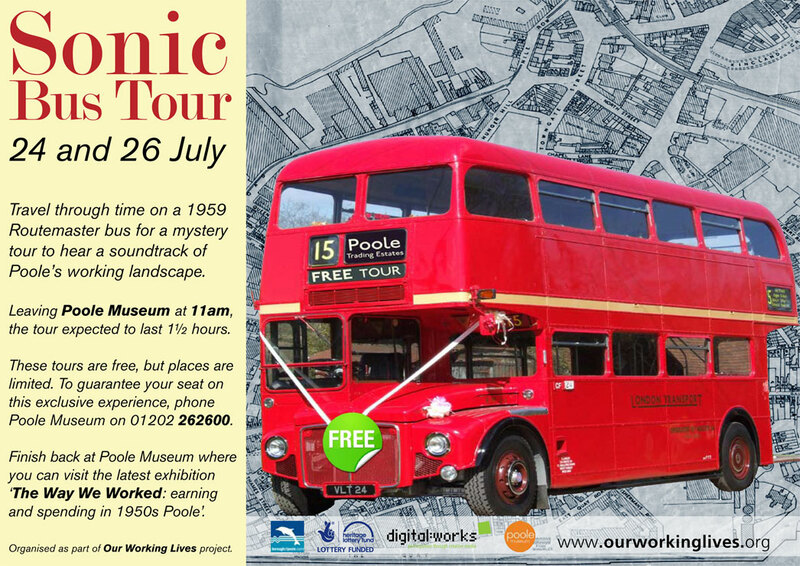 A unique, one-off, bus tour of Poole’s working landscape has been organised on 24 and 26 July as part of the Our Working Lives oral history project that has been exploring people’s working lives in the 40s and 50s. Travel through time on a 1959 Routemaster bus for a mystery tour to hear a soundtrack of Poole’s working landscape. The Our Working Lives Audio CD is back from the duplicators. Just need the book from the printers now to put together. BBC Radio 4 program, Making History, will be helping out with questions the digital:works ‘Our Working Life’ project has raised. Research has raised questions about the similarities of the country’s finances after the war and now. With UK debt now around 60% of GDP – after the Second World War it was well over 180% of GDP. While nowadays it’s all about cuts, then there was massive investment in housing, industry, the birth of the NHS, starting of universal welfare benefits and investment in arts and culture. 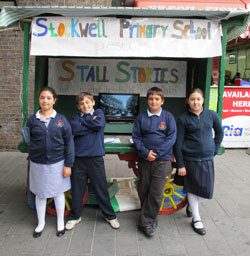 This investment went onto help provide three decades of strong economic growth. Why the big difference, is it just a political choice or is it down to the different world situation and the UK’s place in it?